Plutonium is Back on the Menu, Future NASA Missions! While I highly advise against humans making a meal out of it (despite my headline) the radioactive element plutonium has long been a staple energy source for many of NASA’s space missions, from Apollo’s ALSEPs to the twin Voyagers to the Curiosity rover. * But the particular non-weapons-grade flavor that NASA needs — plutonium dioxide, aka Pu-238 — has not been in production in the U.S. since the late ’80s; all the Pu-238 since then has been produced by Russia. That is, until now; researchers at the Department of Energy‘s Oak Ridge National Laboratory (ORNL) in Tennessee have successfully produced the first Pu-238 in the U.S. in 30 years. 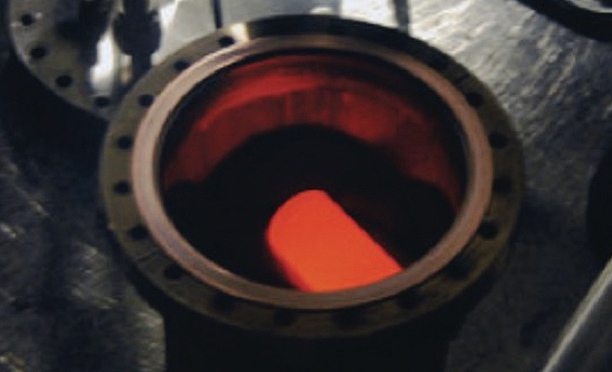 50 grams (about one-tenth of a pound) of plutonium dioxide have been manufactured at ORNL, and once the sample has undergone testing to confirm its purity large scale production** will begin. Watch a video below from the DOE celebrating this new milestone. Read about the dearth of Pu-238 in my 2011 article on Universe Today here, and learn more about the isotope and why NASA uses it here. *To date 27 NASA missions have used Pu-238 as a power source for electricity and heat. Previous Post Cassini Has Made Its Last Pass by Enceladus. Here Are the Pictures. Pingback: Just Space News / Plutonium is Back on the Menu, Future NASA Missions! Finally, some sanity! Unfortunately there are loud protests from opponents of space-based nuclear power. This bodes poorly for launching a reactor(s) for the VASIMR engines on the Earth to Mars orbiter and transfer habitat. One of the reactors would be left on the surface to power colony infrastructure construction. The Mars to Earth transfer orbiter returns to Earth for another load… AI robot surveyors and miners anyone?